Renfrewshire kids are gearing up for a fun-packed October school holiday – with a full programme of children’s events planned as part of Paisley’s Spree festival. The annual extravaganza of music, comedy and more – on between 9 and 17 October – will also include family fun at various venues around the town. Highlights taking place while the schools are off include daily Let’s Do Robotics with Lego workshops in the specially-erected Spiegeltent in County Square. The free drop-in workshops, a popular feature of last year’s festival –will allow visitors to build and programme creatures which move using the latest Lego robotics technology. 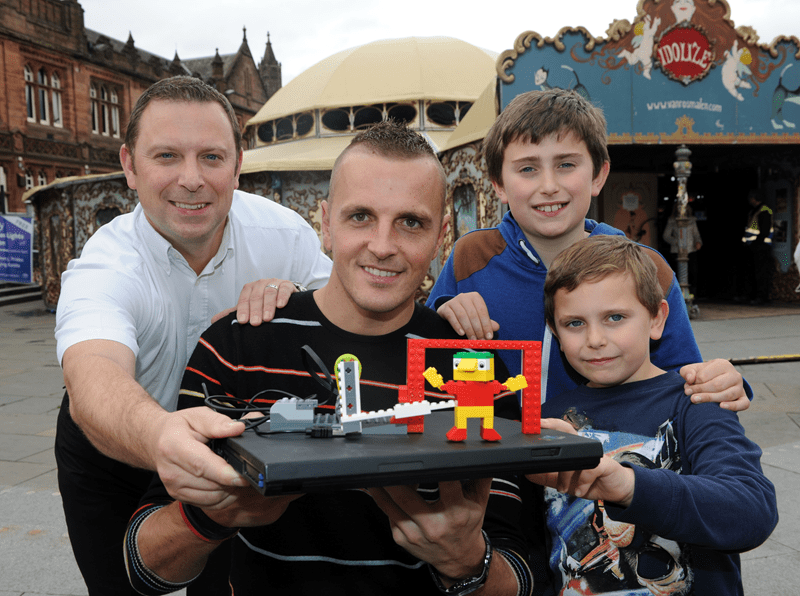 Also in The Spiegeltent is another set of free daily drop-in workshops based around popular fantasy video game Minecraft, where visitors have to storm a Spree castle in search of treasure. Big-name music acts starring at this year’s Spree include Idlewild, the RSNO, Karen Matheson, James Grant, Barbara Dickson, Aidan Moffat, Horse McDonald and the Khartoum Heroes featuring King Creosote. There will also be comedy from Des McLean as well as two Best of Scottish Comedy nights run with The Stand Comedy Club. The festival is run by Renfrewshire Council as part of the build-up to Paisley’s bid for UK City of Culture 2021. Renfrewshire Council Leader Mark Macmillan said: “The Spree programme has something for people of all ages – and I would encourage parents to check out the full programme as there is plenty to help keep kids occupied during the October week.